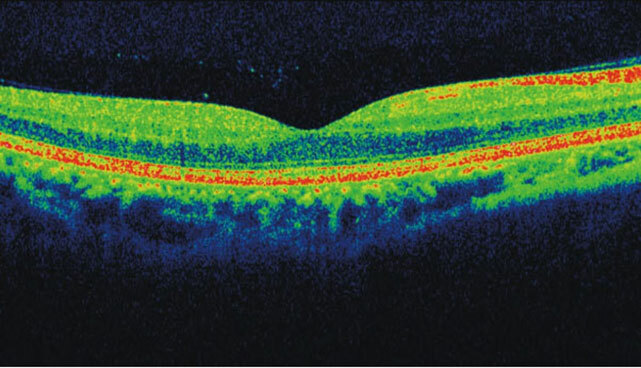 We are delighted to be able to offer our patients OCT (Ocular Coherence Tomography). This is an advanced eye scan for people of all ages. 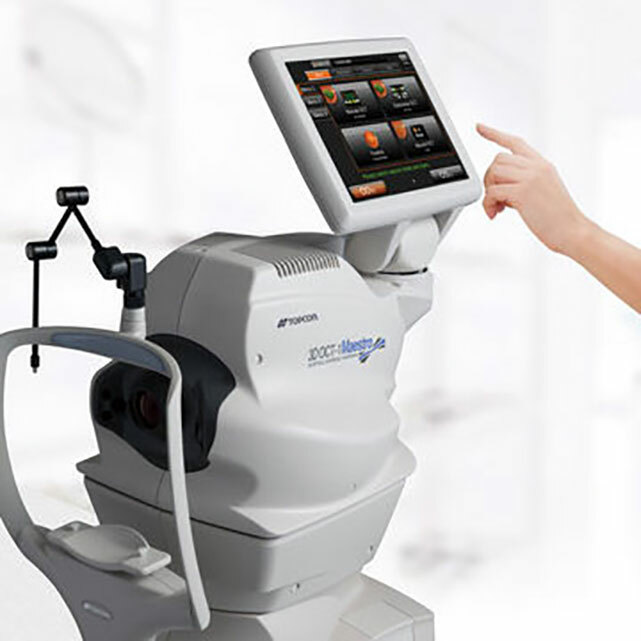 It is a non-invasive, non-contact imaging technique that allows the optometrist to gain enhanced information about the health of your eyes. 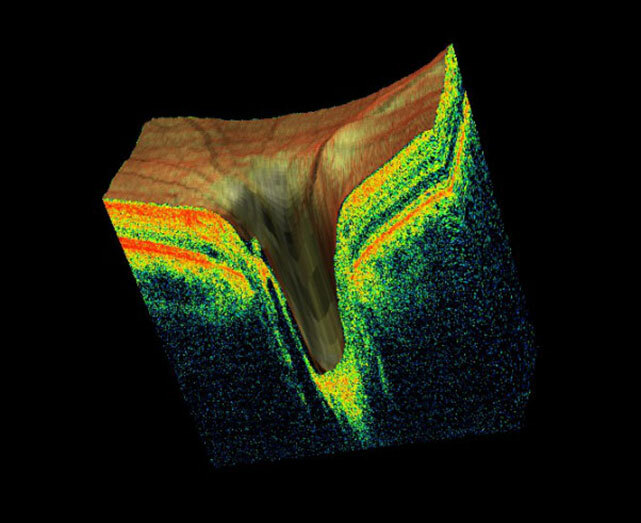 Similar to an ultrasound, OCT uses light rather than sound waves to image the different layers that make up the structures at the front and back of the eye. The OCT captures both a photograph and a cross-sectional scan of the eye at the same time. Scans are safe, non-invasive and let us see microscopic detail of the eye. By having an OCT scan, this allows us to get a ‘baseline data’ for each patient. The software used can detect even the most subtle changes to the retina therefore providing us with an invaluable ongoing record of the health and condition of your eyes. The scan lets us look in so much more detail than we could have achieved in the past, as it is looking underneath the surface into deeper layers of the eye. Age-related Macular Degeneration– AMD is the leading cause of blindness in the UK. It causes gradual deterioration of the macular (the central portion of your retina which enables detailed vision). There are two types of AMD; dry and wet. Wet AMD causes rapid reduction in vision and must be treated in hospital very rapidly. OCT can help to identify the earliest signs of AMD, determine if it is the dry or wet form and help monitor its progress over time. Diabetes – Over 4 million people in the U.K are now diagnosed with diabetes, with experts claiming that over half a million people are currently suffering from undiagnosed type 2 diabetes. Diabetic retinopathy is the leading cause of blindness in people of working age within the U.K. OCT examination helps enable early detection of diabetic retinopathy, allowing early referral and management which can greatly improve the success rate of treatment. Glaucoma – Glaucoma is a condition which causes damage to the optic nerve – the part of the eye which connects to the brain – and causes gradual loss in peripheral vision. Recent statistics suggest that some form of glaucoma affects around two in every 100 people over the age of 40, rising to almost 1 in 10 in people over 75 years. Because the early stages of chronic glaucoma do not cause symptoms, regular examinations are essential to pick up glaucoma at its earliest stage so that on going damage can be prevented. OCT examination can measure numerous features at the back of the eye and facilitate early diagnosis of glaucoma. It can enable close monitoring of your eye health year-on-year, allowing identification of glaucomatous changes over time. Vitreous Detachments – Vitreomacular traction can be easily diagnosed through OCT providing invaluable information about the current relationship between the vitreous and the retinal surface of the eye. As people get older the vitreous jelly becomes less firm and can move away from the back of the eye towards the centre, in some cases parts do not detach and cause ‘pulling’ of the retinal surface. The danger of a vitreous detachment is that there is no pain and your eyesight will seem unchanged but the back of your eye may be damaged. Macular Holes – A macular hole is a small hole in the macular – the part of the retina which is responsible for our sharp, detailed central vision. This is the vision we use when looking directly at things, when reading, sewing or using a computer for example. Macular holes usually form during a complicated vitreous detachment, when the vitreous pulls away from the back of the eye, causing a hole to form. Management of this condition needs to be carried out by an ophthalmologist in hospital. We would encourage anybody to have an OCT scan done, particularly if you suffer from any of the above conditions or have a family history of these conditions. OCT is offered as part of an extremely thorough extended eye examination. We allow extra time to be able to analyse, present and discuss the results with you. Your eye examination will include a variety of advanced health checks as well as checking your visual levels to determine if spectacles are required. We offer a two tiered eye examination here at Penarth Eye Centre. A standard eye examination – during this examination we will not only check the level of your vision, but will conduct a number of eye health examinations. We will discuss your general health and any medications you are taking. We will ask about any eye conditions you are aware of in your family history to determine if you are at any increased risk of developing these. This examination is 25-30 minutes. Patients who qualify for an NHS examination will have the same health checks conducted as part of their examination. An extended eye examination – We offer an extended examination to include OCT. This is a more enhanced eye examination where we allow 45 minutes to conduct all the standard and advance eye health and visual checks. The optometrist will carefully analyse and discuss with you the results of the eye examination and point out any concerns to you. 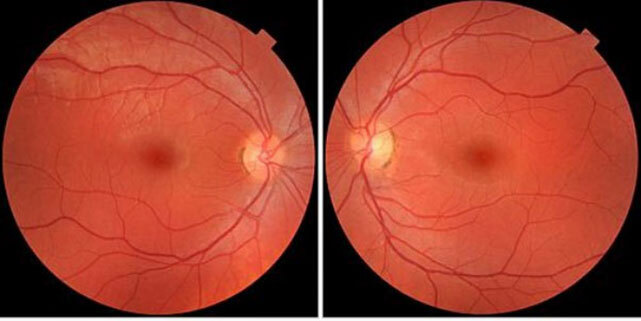 Having OCT is a great way of noticing even the tiniest changes to the retina. Don’t hesitate to contact us further to book in for OCT or if you have any further questions. Ideally please let us know at the time of booking if you would like to have OCT done so that we can allow enough time to analyse and discuss the results with you.